BUILDING: Grade A Corporate Office Tower – Refurbished. LOCATION:- Jalan Sultan Ismail, Kuala Lumpur City. SIZES (sq ft): 7,660 / 12,622 / 13,046 / 14,194 / 15,850 / 100,000 / 200,000 or more. 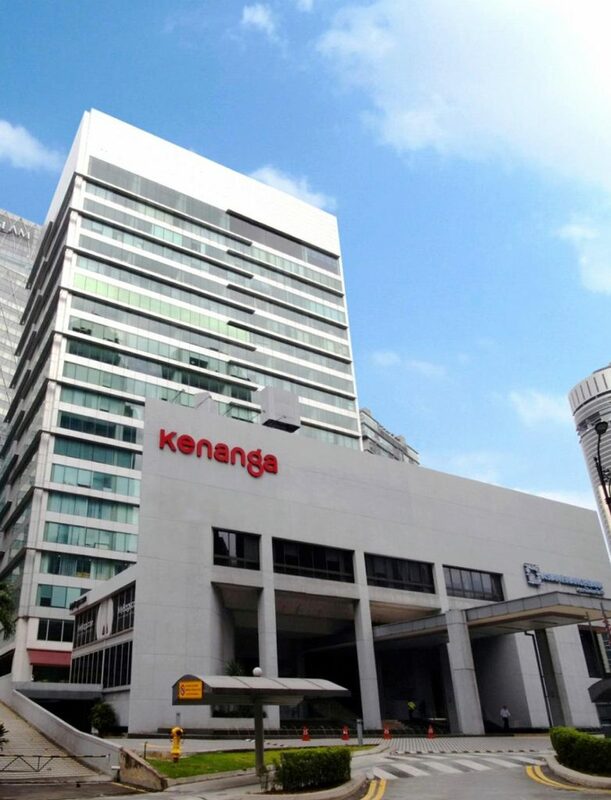 Kenanga International is a 22-storey corporate office tower with a NFA of 360,296 sq ft located along Jalan Sultan Ismail, Kuala Lumpur City. 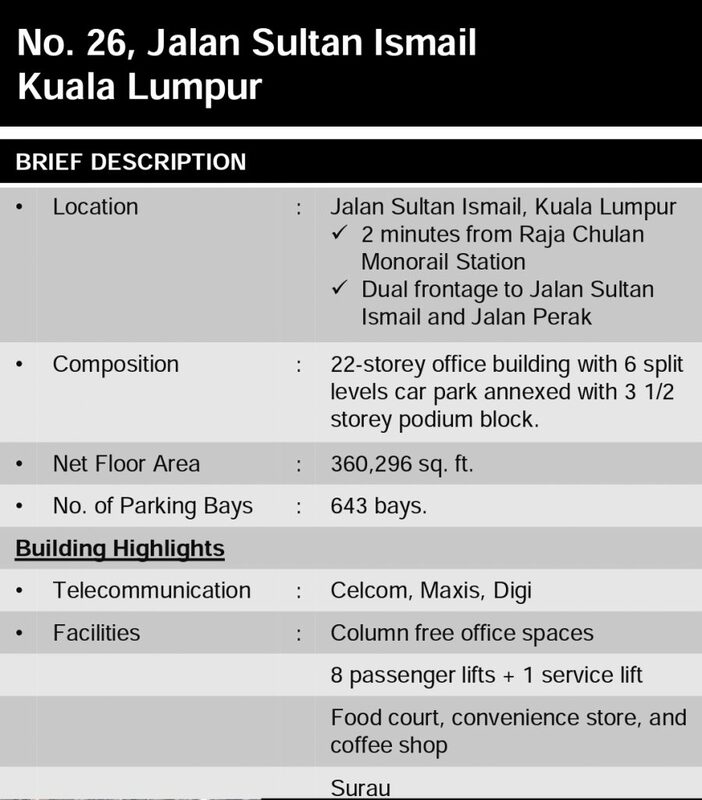 With an easy accessibility via Jalan Ampang, AKLEH, Jalan Raja Chulan, Jalan P. Ramlee, Jalan Imbi, Jalan Bukit Bintang and Jalan Sultan Ismail. Located right in the middle of Kuala Lumpur’s main financial and commercial district, 5 minutes walking distance from the Raja Chulan Monorail station and 10 minutes walking distance to the Pavilion Shopping Mall and Bukit Bintang shopping commercial district.